San Francisco, CA, 94111 U.S.A. Bone Grafting: You Need A San Francisco Specialist! 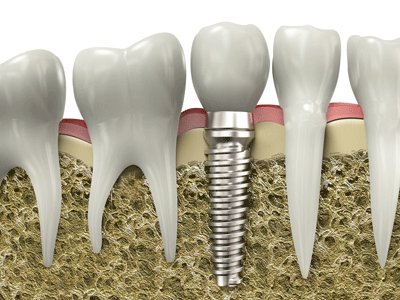 If you wish to have dental implants fitted in San Francisco it is possible that you may not have enough bone in the part of your jaw where they are to be placed. If this is the case you will need the services of a bone grafting oral surgeon in San Francisco, California. Tooth loss can often lead to the loss of more bone over a period of time, so it may be that your jaw simply won’t support dental implants as it is. Tooth loss can be caused by periodontal, or gum, disease; dental caries; defective development; and trauma or injury. The result may be that the bone in your jaw is not deep enough or wide enough to support a dental implant, and if this is the case you will need more bone added to your jawbone. Bone grafting, also known as bone augmentation, is a procedure carried out by a bone grafting oral surgeon in SF to build up the jaw bone in order that dental implants can be inserted. The bone to be added can be some of your own bone or that from a human body or a cow. A graft from your own bone transplants a block of bone or bone cells from another part of your body while bone from other sources will cause surrounding bone to grow into the graft or cells around the bone to change into bone. Once a graft is completed by a bone grafting oral surgeon in SF it will be several months – typically six months or more – before dental implants can be inserted into position. Your own bone is a very good choice for a bone graft and this may come from your chin or the back part of your lower jaw. However, it is possible that your oral surgeon may not be able to get enough bone from these sources, in which case it can come from your shin or your hip. In some cases it is possible to obtain bone from the shin in the surgeon’s office. However, if it is to come from the hip this will take place in hospital under general anesthetic and involve a stay of a couple of nights. Bone grafts can also come from outside “off the shelf” sources, and there is also a new procedure involving bone morphogenetic protein-2 (BMP-2) which stimulates other cells in the body to produce bone without the need for a graft. Quite obviously, bone grafting is a highly specialized technique and requires great skill. Our Dr Alex Rabinovich is a oral surgeon / specialist in all types of facial surgery including bone grafting, and he will be pleased to offer you a free consult to discuss the various options open to you regarding dental implants and bone grafting. This entry was posted in Blog and tagged bone graft, oral surgeon, San Francisco on June 28, 2016 by Dr Alex Rabinovich.